Hello Everyone! 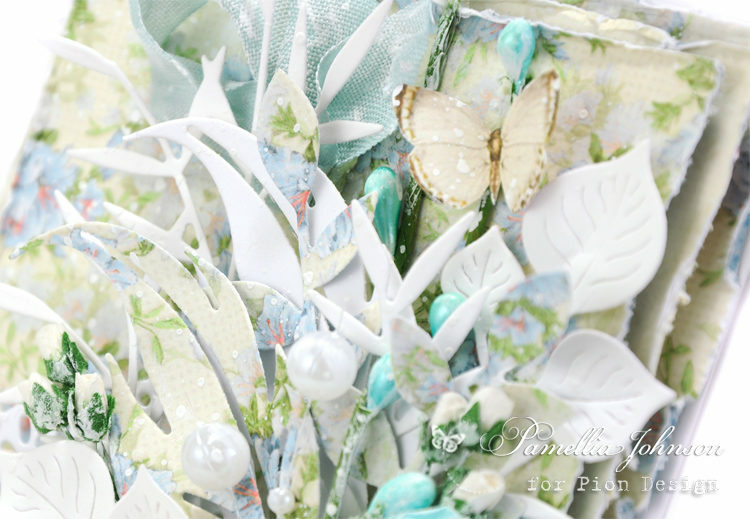 Today I am sharing a feminine birthday card featuring the Pion Design collection “Patchwork of Life”. 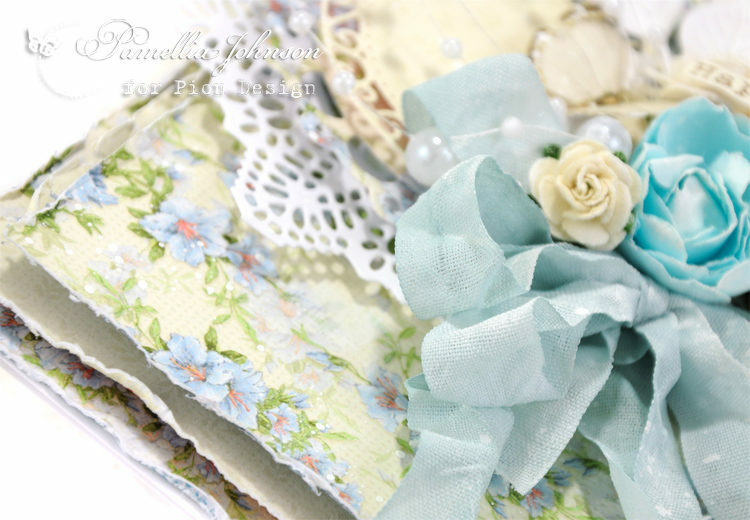 Blue isn’t just for boys, look at how dainty and delicate these gorgeous flower patterns are! 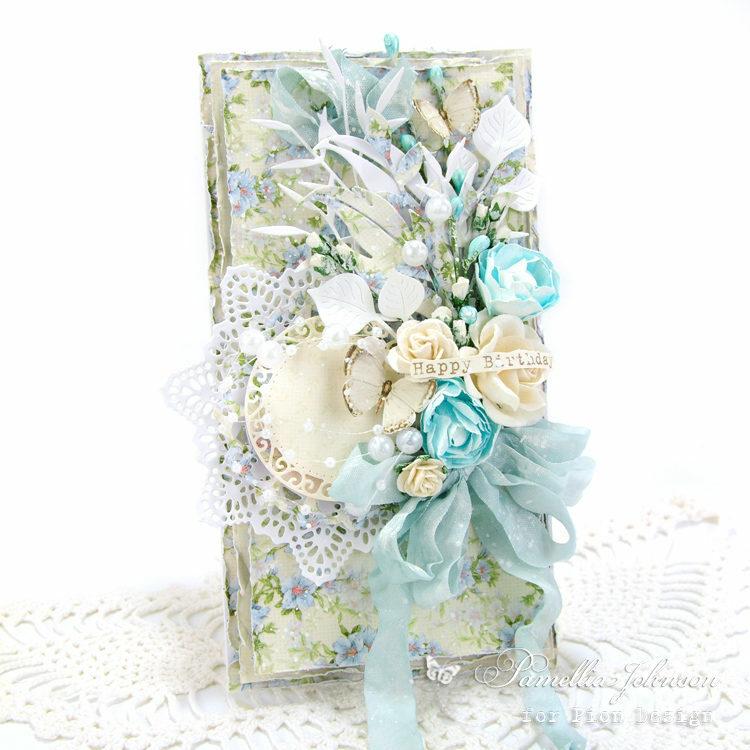 Another gorgeous card from Pamellia – wow! What a amazing and beautiful card! !